On Monday July 1, the IRS released its new, short application form for small charities to apply for 501(c)(3) tax-exempt status. The new Form 1023-EZ is three pages long (instructions link is here), compared with the standard 26-page Form 1023. The change will allow the IRS to speed the approval process for smaller groups and free up resources to review applications from larger, more complex organizations while reducing the application backlog. Currently, the IRS has more than 60,000 501(c)(3) applications in its backlog, with many of them pending for nine months. 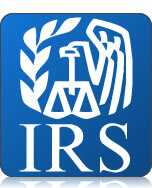 There are more than a million 501(c)(3) organizations recognized by the IRS. For a history of US tax treatment of charity, please read http://papers.ssrn.com/sol3/papers.cfm?abstract_id=2304044 This article studies the American political debate on the charitable tax exemption from 1864 to 1969, in particular, the debate regarding philanthropic, private foundations. This > article < by Professor William Byrnes describes the ancient legal practices, codified in Biblical law and later rabbinical commentary, to protect the needy. The ancient Hebrews were the first civilization to establish a charitable framework for the caretaking of the populace. The Hebrews developed a complex and comprehensive system of charity to protect the needy and vulnerable. These anti-poverty measures – including regulation of agriculture, loans, working conditions, and customs for sharing at feasts – were a significant development in the jurisprudence of charity. The first half begins with a brief history of ancient civilization, providing context for the development of charity by exploring the living conditions of the poor. The second half concludes with a searching analysis of the rabbinic jurisprudence that established the jurisprudence of charity. This ancient jurisprudence is the root of the American modern philanthropic idea of charitable giving exemplified by modern equivalent provisions in the United States Tax Code. However, the author normatively concludes that American law has in recent times deviated from these practices to the detriment of modern charitable jurisprudence. A return to the wisdom of ancient jurisprudence will improve the effectiveness of modern charity and philanthropy. This > article < by Professor William Byrnes studies this American political debate on the charitable tax exemption from 1864 to 1969, in particular, the debate regarding philanthropic, private foundations. The article’s premise is that the debate’s core has little evolved since that between the 1850s and 1870s. To create perspective, a short brief of the modern economic significance of the foundation sector follows. Thereafter, the article begins with a review of the pre- and post-colonial attitudes toward charitable institutions leading up to the 1800s debates, illustrating the incongruity of American policy regarding whether and to what extent to grant charities tax exemption. The 1800s state debates are referenced and correlated to parts of the 1900s federal debate to show the similarity if not sameness of the arguments against and justifications for exemption. The twentieth century legislative examination primarily focuses upon the regulatory evolution for foundations. Finally, the article concludes with a brief discussion of the 1969 tax reform’s changes to the foundation rules and the significant twentieth century legislation regulating both public and private foundations. The origin of the company limited by guarantee is nearly impossible to pinpoint. While some experts believe that this type of business form sprang into being overnight, it is more likely that the company limited by guarantee slowly developed over centuries of time. The origins of the company limited by guarantee have a fuzzy existence, which is likely attributable to the notion that this business form is comprised of bits and pieces of other business forms that existed in early English history. The most plausible origin of the company limited by guarantee stems from fire insurance, which came into existence after the Great London Fire of 1666. An excerpt from an eyewitness’s diary describes the tragic fire: “I saw a fire as one entire arch of fire above a mile long: it made me weep to see it. The churches, houses are all on fire and flaming at once, and a horrid noise the flames made and the cracking of the houses.” For this type of tragedy to occur at a time when England businesses and communities were beginning to flourish was a great devastation of utmost significance. The Great London Fire may have been the catalyst that drove individuals to find better ways of insuring themselves in the future, should another similar tragedy occur in the future. Individuals had to protect their future economic interests, and the emergence of a company that allowed individuals the ability to conduct business as needed while still providing them with the limited liability necessary to protect against future damages may have been the foundation of the company limited by guarantee. In order to understand the modern day characteristics of the company limited by guarantee, the characteristics of its members, the relations of its members to the company and the relations to each other, it is necessary to first understand the historical origin of the United Kingdom (“UK”) business organization of the company. This article will begin by studying the history of the company limited by guarantee by analyzing the following types of businesses: (1) partnerships; (2) trusts; (3) charitable trusts; (4) assurance companies; (5) joint stock companies; and (6) investment companies. The second part of this article focuses on explaining and examining the company limited by guarantee, including the evolution of the English Company from the Chancery partnership and trust, to the joint stock company’s statutory recognition and devolvement from the partnership. This section will also analyze the evolution and statutory recognition of the company limited by guarantee, and generally distinguish its characteristics from the company limited by shares. The third part of this article includes an in-depth statutory comparison of the modern day (1) company limited by shares; and (2) company limited by guarantee. Although it is likely that the main foundation of the company limited by guarantee stems from fire insurance, the origin of other historic business types must first be discussed in order to envision the larger picture – including all of the major business forms that existed in early English history – in order to pinpoint the exact origins of the modern day company limited by guarantee. Samuel Pepys, Diary 390 (George Bell & Sons 1893). This article describes the ancient legal practices, codified in Biblical law and later rabbinical commentary, to protect the needy. The ancient Hebrews were the first civilization to establish a charitable framework for the caretaking of the populace. The Hebrews developed a complex and comprehensive system of charity to protect the needy and vulnerable. These anti-poverty measures – including regulation of agriculture, loans, working conditions, and customs for sharing at feasts – were a significant development in the jurisprudence of charity. The first half begins with a brief history of ancient civilization, providing context for the development of charity by exploring the living conditions of the poor. The second half concludes with a searching analysis of the rabbinic jurisprudence that established the jurisprudence of charity. This ancient jurisprudence is the root of the American modern philanthropic idea of charitable giving exemplified by modern equivalent provisions in the United States Tax Code. However, the author normatively concludes that American law has in recent times deviated from these practices to the detriment of modern charitable jurisprudence. A return to the wisdom of ancient jurisprudence will improve the effectiveness of modern charity and philanthropy. What are the tax procedures for requesting exempt status recognition? Generally, an organization seeking recognition of an exempt status is required to submit the appropriate application. Specifically, an organization seeking recognition of exemption under § 501(c)(3) \ must submit a completed Form 1023. What fees are required by those requesting an exempt status? Generally, an application for exemption under § 501(c)(3) includes a $400 fee for organizations that have had annual gross receipts averaging not more than $10,000 during the preceding four years, or new organizations that anticipate gross receipts averaging not more than $10,000 during the first four years. Application for exemption under § 501(c)(3) includes an $850 fee for organizations whose actual or anticipated gross receipts exceed $10,000 averaged annually. For those seeking the $400 fee, the Service also requires the organization to sign a certification with their application that the receipts are or will be not more than the indicated amounts. Why is this Topic Important to Wealth Managers? Discuses one alternative investment wealth managers are continuing to explore in consideration of uncertain tax law changes. Provides general background as well as analysis and comparison to show the benefits available through the purchase of tax-exempt bonds. Interest received from bonds is generally taxed at ordinary income rates. This includes both government and corporate bonds unless otherwise excluded by the tax code. Dividends though are taxed at capital gains rates, which for the meanwhile can provide significant tax benefits. See our previous AdvisorFYI blogticle of September 13th Bush Tax Cuts Set to Expire. However, some state and local municipal bonds often called “muni” bonds, produce tax—exempt interest income under Internal Revenue Code § 103. The general obligation interest on state or local bonds fall into this category as distinguished from private activity bonds. A detailed discussion of private activity bonds in comparison to general obligation bonds can be found at AdvisorFX Tax Facts: Q 1123. Is interest on obligations issued by state and local governments taxable? (sign up for a free trial subscription if you are not a subscriber).